Moscow’s jam fest is definitely a crazy show that is gaining momentum. What do you need to know about it? The main thing is its cost: $ 2.8 million. A huge sum for one celebration, right? What would you do with money like that? 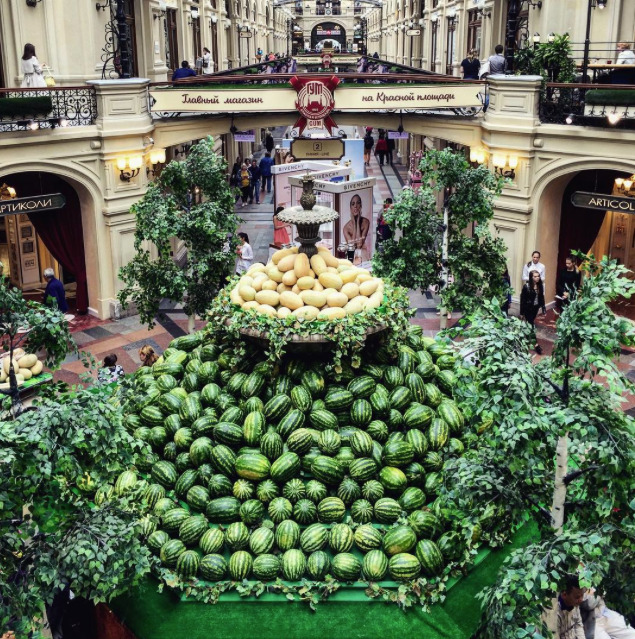 You could build a huge watermelon near Red Square with a swing inside. You could install a plastic version of Vertumnus by Giuseppe Arcimboldo. However, the hair and watermelon forehead look less aristocratic than in the original. You also can watch a show in which the main characters are played by food. The sunflower is in danger. …because it’s so much fun! And here are the top 4 unusual jams available to buy in Moscow: Chili pepper jam. Dandelion jam, in winter you can eat it while reading Dandelion Wine. Instaweek: Why do Russian engineers ride around in washbasins?